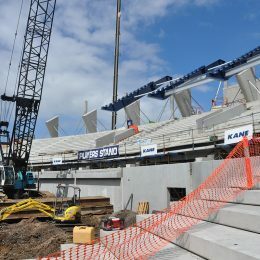 Westkon Precast secured a challenging contract for work on the Simonds Stadium southern stand redevelopment at Kardinia Park, Geelong. 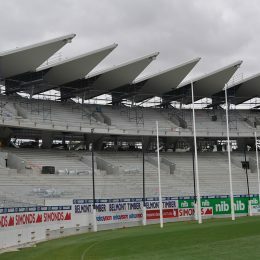 The redevelopment will see a new 11,000-seat grandstand added to the Cats’ home-ground with improved spectator facilities and community benefits. Westkon’s contract is for the design, manufacture and installation of precast concrete elements for the complete structure. 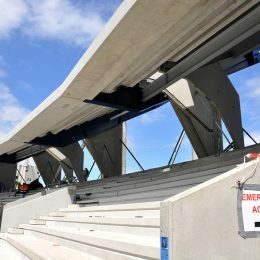 The company has been around for 25 years and has worked on recent projects such as the New Melbourne Market, Royal Children’s Hospital, Regional Rail, Peninsula Link Freeway and the M80 Ring Road redevelopment. 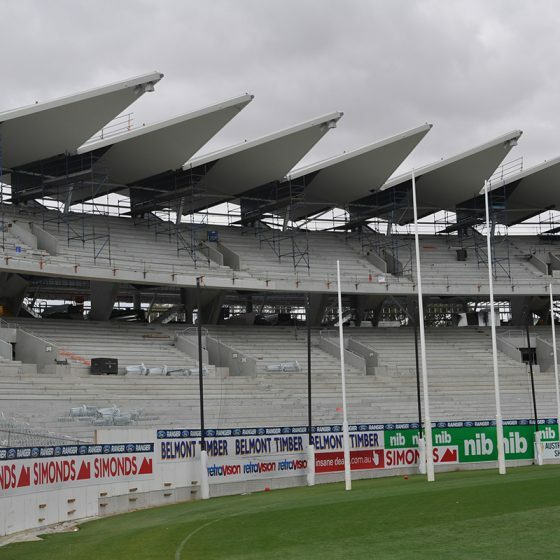 Westkon has also supplied precast units to the previous three stages of development at Simonds Stadium. The precasting was done at Westkon’s factories at Sunshine and Melton and then was transported to Geelong for a highly coordinated installation job. Elements used include pre-stressed seating plats, HOLLOWCORE pre-stressed planks, pre-stressed beams, precast concrete floors, panels, walls and columns. The company has been innovative in order to maximise efficiency and save installation time. 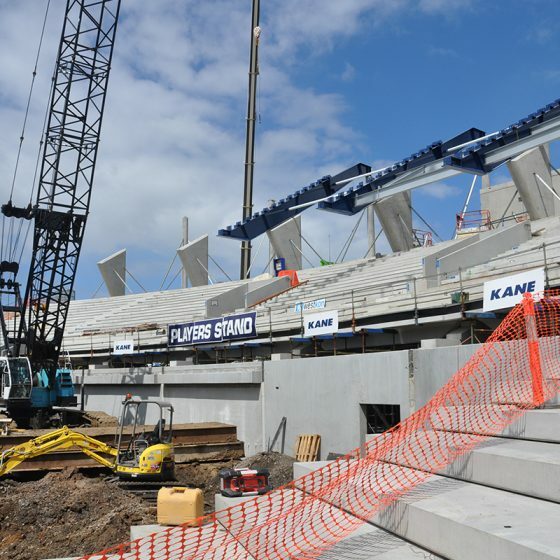 Precast concrete raker beams and axe head columns are some of the nonstandard elements that are normally made in situ. 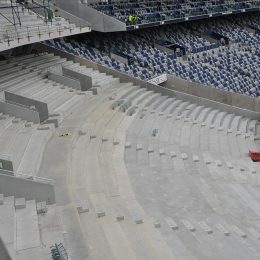 Westkon, however, had precast and delivered them with a smooth installation which was completed prior to Christmas.